Our Seaside Sand and Shell Filled Globe Bottle Stopper Favors will make unique favors for your beach theme event. And hand in hand, on the edge of the sand, they danced by the light of the moon. 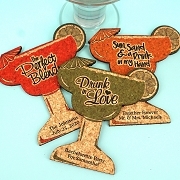 Like a poet who captures the romance of the seas in words, infuses the fun and feeling of a seaside event in a befitting beach themed favor as expressive as it is practical that lets guests take home as many memories as there are grains of sand in the globe. I love the bottle stopper. 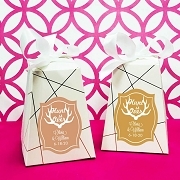 I still haven''t decided if we''re going to have it as one of our favors because it seems a little delicate. We''re having a destination wedding and I''d hate for it to break while traveling. 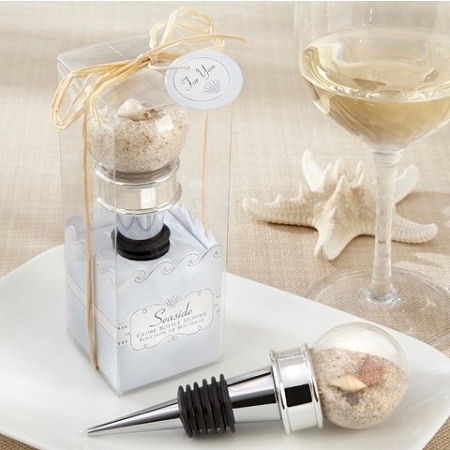 I loved the Seaside Sand & Shell filled globe bottle stoppers. The globe is plastic so it''s not as breakable as it seems. The chrome looks a bit cheap to me but for the price I think it was great. I''m having a Maui wedding so the theme fits in perfectly. I would definitely recommend!